Furloughs are a temporary, required period of time off for employees without pay used to save organizations money. Like many universities and government bodies around the country, The University of Toledo plans to use furloughs as one method to help balance its budget. The advantage of furloughs is that they help minimize the number of employee layoffs and position the University to recover more quickly when the need for cost-saving measures has diminished. The furlough program is a strategic decision to help UT avoid the more severe plight of many other institutions around the country. The goal of the furloughs is to save the University $1.3 million in salary and retirement contributions, plus additional money in energy savings. Who is required to participate in the furlough program? The primary guiding principle of UT’s furlough program is that all benefit-eligible employees will participate, therefore minimizing the impact on any particular employee classifications. Part-time employees will have their furlough prorated based on their full-time equivalency. The furloughs and the impact of the furloughs are being negotiated with the institution’s various unions. Employees who are essential during the furlough period, such as those who work in UT Medical Center, will have to take their furlough days the next calendar week no later than Jan. 8 or in lieu of holiday pay. Permission to use an alternate furlough schedule must be approved at the vice president and/or provost levels. Exceptions will be made for individuals such as temporary employees, student employees, graduate and research assistants, medical residents, postdoctoral students and grant-funded positions. Furloughs for grant-funded positions will be prorated based on the compensation breakdown between the grant and UT. When will the furlough program occur? UT, excluding UT Medical Center, will be closed Monday, Dec. 28, through Thursday, Dec. 31, with the regular holiday schedule picking back up Friday, Jan. 1. This timeframe was chosen for furloughs because students are not on campus and it is a relatively slower work period for the majority of employees. This is consistent with UT’s student-centered mission. Shutting down the University for the week also will allow the University to save money on energy costs. Most employees will have one or two unpaid furlough days and will be required to take them Monday, Dec. 28, and Tuesday, Dec. 29. During the other two days that the University will be closed that week, employees can use vacation, personal days, comp time or choose to go unpaid. If an employee does not have any time available, the time will be unpaid. However, by communicating the timeframe of the furloughs four months in advance, it is hoped employees who are out of vacation time will be able to accrue hours if they desire to use them during the time the University is closed. All unpaid leaves of absence need approval. Employees cannot use vacation, personal days, comp time or sick time on unpaid furlough days. A furlough is unpaid time off and that’s why it is a cost-savings to the University. Currently, no other furlough days at UT are planned; however, in the event of further budget cuts or difficulty balancing the budget, furloughs will continue to be considered as an option. Because furlough days are unpaid, your pay will be reduced by the number of furlough days you have during that pay period. All Health Science Campus employees and Main Campus hourly employees will see lesser gross pay in their Jan. 15 checks, and Main Campus salary employees will notice it in their Jan. 1 checks. Despite a reduction in hours worked, the University has decided to not reduce sick and vacation time accruals for the furlough period. You will receive your standard allotment of both. The furloughs also will not affect your eligibility for benefits. The dollar amount you pay still will be deducted from your paycheck, and the coverage you receive when you file a claim will not change. An employee’s contribution and the employer contribution to a retirement plan are based on a percentage of earnings and will be reduced during the pay periods in which furlough hours are taken. In other words, fewer dollars will be invested. Any garnishments based on your percentage of pay will be reduced based on your earnings in the pay period in which the furlough is taken. Child support payments are taken out of paychecks in set amounts determined by court orders, so this dollar amount will not be reduced. Furlough hours do not count toward hours worked for overtime purposes. It is important that no employee’s work week total more than 40 hours. Employees on furlough during the week the University is closed are not allowed to work. This includes reading or responding to e-mails, calling or responding to calls from colleagues, and being on site of your work location at any time during your furlough days. If an employee does work during his or her furlough without permission, he or she will be subject to disciplinary action up to and including termination. If an employee must work while on furlough because of an emergency, he or she will need to reschedule a furlough prior to Jan. 8. For updates on the furlough program, visit www.utoledo.edu/depts/hr/furloughs.html. If you have specific questions regarding your situation, send an e-mail to furloughinfo@utoledo.edu. Human Resources and the Office of Quality and Continuous Learning will launch UT Works, a program designed to assist employees no longer employed by the University due to reductions in work force that occurred April 28 and after. UT Works includes an array of employment resources, skills training and targeted advice regarding employment opportunities, both internal and off campus. The program is administered by an interdisciplinary team of UT professionals. Employees who are eligible for UT Works services were informed by letter or during layoff notifications last week. As was discussed at Monday’s Board of Trustees’ committee meetings and Tuesday’s town hall meeting, UT Works was created to assist employees affected by reductions in force. Thirty-four of the 90 employees affected by April cutbacks have already been placed in open University positions. The remaining 56 employees are eligible to participate in UT Works. Those within UT Works also will be able to apply for internal positions before they are opened to the general UT community or to the public. The University will adhere to contractual obligations. The Office of Quality and Continuous Learning will be a partner in UT Works, offering courses such as Solving the Job Puzzle to re-introduce job-seekers to today’s market, as well as multiple professional development classes that cover areas like effective resumé writing, interviewing and business communication. Employees assisted through UT Works retain their educational benefits for pursuing training for University positions through the end of spring semester 2010. This individual benefit extends only to the employee, not to the employees’ dependents. “Our goal is to do everything we can to help our employees keep working, if not here at UT, then externally,” Logie said. The UT Works Web site is available here. Several resources, including employment search engines, frequently asked questions, job training opportunities and links to statewide unemployment tools, are available. UT Works employees also can e-mail utworks@utoledo.edu or call 419.530.4747 for questions or information. A documentary film series that will focus on abuses of authority and power in society will be presented this fall by The University of Toledo Department of Theatre and Film. The films will be shown Fridays at 7:30 p.m. in the Center for Performing Arts Lab Theatre Room 1039 on Main Campus. Some nights will include two films. • Sept. 11 — “Why We Fight.” Filmmaker Eugene Jarecki explores Eisenhower’s warning about the rise of the military industrial complex and finds that the answer to the film’s title is not as clear to Americans as it used to be. 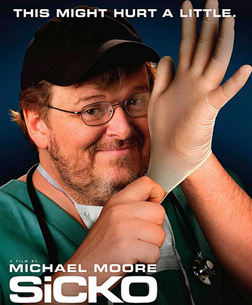 • Sept. 25 — “Sicko” and “Glass Jaw.” Michael Moore examines the U.S. health-care system and how it compares to those in other countries. “Glass Jaw” is a short piece documenting a filmmaker’s struggle with the health-care system after he is assaulted. 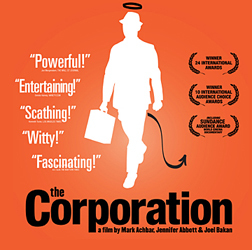 • Oct. 23 — “The Yes Men Fix the World” and “Freedom of Expression: Resistance and Repression in the Age of Intellectual Property.” Changing the world one prank at a time, anti-corporate activists travel from conference to conference and impersonate members of the World Trade Organization. • Nov. 6 — “University, Inc.” and Laura Dunn’s short piece, “The Subtext of a Yale Education.” Filmmaker Kyle Henry will be in residence for a screening of his newly re-released documentary on the corporatization of the academy. Admission to the films is free; however, a $3 donation per person is requested to help defray costs and support future screenings. For more information, visit the UT Department of Theatre and Film here. The University of Toledo will announce the Dr. John M. Howard Endowed Professorship of Pancreatic Surgery at a ceremony Friday, Aug. 28, at 4 p.m. in the Dana Conference Center Lucas Auditorium. Howard joined the Medical College of Ohio in 1974 and continues his active association with the institution, a span of 35 years. In total, he has spent 68 years studying and practicing medicine. He led the U.S. Army’s Surgical Research Team during the Korean War, and was awarded the Legion of Merit by President Dwight D. Eisenhower. He was honored by the U.S. Department of Transportation for “providing the vision that has become our nation’s Emergency Medical Services,” and was the founder and president of the American Trauma Society. Dr. Jeffrey P. Gold, Health Science Campus provost, executive vice president for health affairs and dean of the College of Medicine, will preside over the event. UT President Lloyd Jacobs also will be present. “John has represented the very best in pancreatic surgery for decades, and UT is honored to create the Dr. John M. Howard Endowed Professorship of Pancreatic Surgery to ensure progress continues in this critical area of medicine,” Gold said. Howard is an honorary member of the European Surgical Association, a Fellow of the American College of Surgeons and the American Surgical Association, and holds honorary fellowships in the Royal College of Surgeons of Edinburgh, the College of Surgeons of Brazil, the Japanese Association of Hepato-Biliary-Pancreatic Surgery and the Japan Surgical Society. In 2001, his colleagues at MCO awarded him the honorary degree of doctor of medical science. UT has established the John M. Howard, M.D., Professor of Pancreatic Surgery Fund for those looking to make a donation. 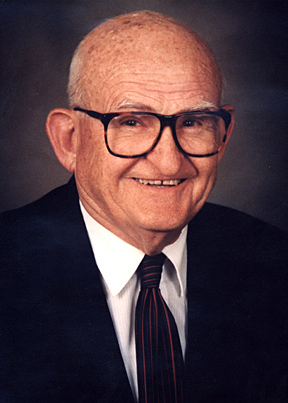 Howard — father of six, grandfather of 10 and great-grandfather of two — will celebrate his 90th birthday Aug. 25. For most, it’s a snippet of time in the bigger picture of life. How much impact could three months possibly have? According to Dr. Kaye Patten Wallace, vice president for student affairs, the initial 90 days of a first-year college student’s experience can be a make-it-or-break-it period. Patten Wallace and the Division of Student Affairs team are focused on providing resources, support and services that will give students optimal opportunities for success. These resources include a Web site that displays the photos, names and contact information for members of the Student Affairs team, as well as several targeted programs designed to assist students with academic and social adjustment. The site can be accessed at www.utoledo.edu/studentaffairs/team. • Decisions regarding alcohol and other substance use. From an academic standpoint, Traband recommends Carlson Library as a vital point of contact. With its specialties such as the Writing Center, math tutoring and a vast array of research resources, it can be a productive base for all students. Sometimes having a peer who has already experienced the travails of freshman year is helpful. First-year students can be matched with mentors through the Rocket-2-Rocket Program for academic, social and cultural guidance. Although social interaction can be healthy, pitfalls can hamper not only academic performance, but other parts of students’ lives, as well. A national study released in March reported that during fall semester of 2008, more than 68 percent of respondents — all first-year college students — drank alcohol. Those who reported using alcohol drank an estimated 10.2 hours per week, yet studied 8.4 hours during the same time period. The data was collected from 30,183 students who participated in “AlcoholEdu® for College,” an online course offered by Outside the Classroom. This year, UT’s first-year students are required to participate in “AlcoholEdu” as part of an introductory course called Beginning the Academic Journey. First-year students also will receive anonymous feedback through a program called MAP-Works, which is another tool offered through Beginning the Academic Journey and the Learning Collaborative. Students will be asked a series of questions relating to academics, socialization, lifestyle and coping mechanisms. Results of the survey, which takes about 20 minutes to complete, will be sent to each respondent in the form of an interactive program. A report of each student’s answers will recommend areas where assistance may be needed and provide campus resources. The surveys will be e-mailed by the end of August, with responses required by mid-September. “When we look at what makes students successful, it’s a combination of how they do in class and how they do outside the classroom,” Patten Wallace said. “We’ve brought our vast team of resources together to address the challenges some of our first-year students may encounter. For more information regarding programs for first-year students, contact Patten Wallace at kaye.pattenwallace@utoledo.edu or call the Division of Student Affairs at 419.530.2665. Faced with an $8.9 million cut in state support, The University of Toledo Board of Trustees’ Finance Committee yesterday afternoon voted to recommend approval of a budget amendment that would allow the University to again balance its budget. The full board will consider the amendment Monday, Sept. 21. The budget amendment in non-hospital operations calls for savings of $1.9 million through the elimination of an undetermined number of vacant and filled positions, generation of $2 million with a 3.5 percent tuition increase in spring 2010, elimination of programs totaling $2.7 million, and a mandatory furlough program estimated to save the University $1.3 million. Scott Scarborough, senior vice president for finance and administration, said more details on the furlough program would be shared soon; however, it is designed to include every employee. Furlough days, expected to be one or two, will be concentrated on times when students are not on campus and when hospital services are low. The furlough program must still be negotiated with the University’s unions. Employees at University of Toledo Medical Center may have their number of paid holidays reduced, as opposed to furloughs, due to the fact the hospital never closes. In addition to approving the budget amendment, which includes furloughs, the Finance Committee also unanimously approved a resolution authorizing a mandatory employee furlough policy and authorizing the president to determine if and when mandatory employee furloughs, including faculty, are necessary. The $2.7 million in program eliminations is comprised of $850,000 for restricted and clinical teaching lines, $550,000 in unused graduate student stipends, $350,000 for an early retirement incentive program, $300,000 for a perfect attendance program on the Health Science Campus, and $250,000 for discretionary administrative bonuses. Changes at the Crossings Dining facility also will save $400,000. The budget amendment calls for UT Medical Center to cut $1 million through a furlough/holiday reduction plan, vendor consolidations and professional services contract management. During a recent visit home, Dean Janssens worked with Barbara Rondelli Perry, who gave some guidance on singing a musical piece in French. UT vocal alumnus Dean Janssens will be on Main Campus for an opera master class Wednesday, Aug. 26, at 7 p.m. in the Center for Performing Arts Recital Hall. The tenor resides in Florence, Italy, and sings with the Maggio Musicale Fiorentino. For more information on the free, public opera master class, call the UT Music department at 419.530.2448. In response to fiscally challenging times, UT has made a change in residence dining service at the Crossings. The change will yield a savings of approximately $400,000, which contributes to a campus-wide effort to balance UT’s budget as state funding has decreased. The dining hall in the Crossings, one of the least utilized on Main Campus, previously offered an all-you-can-eat format similar to halls in International House, Ottawa House, Parks Tower and South Dining Hall in the Student Union. A new eaterie, iCrave Pizza at the Crossings, will open Sunday and feature pizza, sandwiches, snacks and cookies daily from 6 p.m. to midnight. “It became apparent we had to do something after the state’s last budget came out,” said David Wahr, interim director of auxiliary enterprises. During a town hall meeting earlier this month, President Lloyd Jacobs stated that $8 million must be trimmed from UT’s current budget to offset further funding cuts from the state of Ohio. According to Dr. Kaye Patten Wallace, vice president for student affairs, the $400,000 savings is equivalent to five full-time positions, including salary and benefits. UT staff, she said, worked closely with Student Government, met with residence advisers, sent e-mails to members of the Student Dining Committee and the Resident Student Association, and discussed the situation during a “Students Speak” forum in late July. A posting on UT’s Division of Student Affairs’ Facebook page solicited 30 responses. Access to meals later in the evening was a frequent request. Students also were concerned about the seating capacity in the dining hall at Ottawa House. In all, Wahr said seating capacity will increase by about 160. Students will receive e-mails notifying them of the Crossings conversion. During fall semester, focus groups also will be conducted to gather ongoing feedback. Patten Wallace added that the change did not eliminate Aramark employee positions or student positions within UT’s dining services. To many medical professionals, embryonic stem cells hold the future key to regenerative medicine and tissue replacement after injury and diseases such as diabetes, Parkinson’s disease, traumatic spinal cord injury, muscular dystrophy, heart disease, and vision and hearing loss. A team of UT College of Medicine researchers has studied embryonic stem cells and their capacity to self-renew and differentiate into more than 220 cell types, known as pluripotency, and the importance of fully utilizing this capacity. 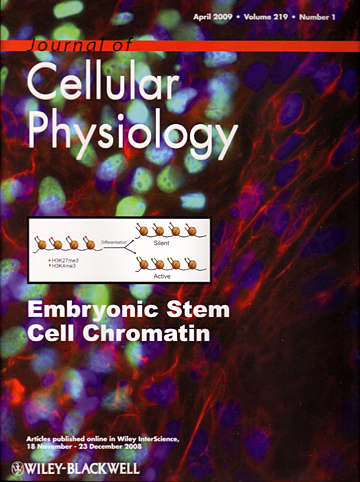 A recent issue of the Journal of Cellular Physiology included the article titled “Chromatin Remodeling in Embryonic Stem Cells: The Balance Between Pluripotency and Differentiation,” and featured a figure from the article on the front cover. The joint lead authors of the article are Dr. Ivana De La Serna, assistant professor of biochemistry and cancer biology, and Bridget Keenen, predoctoral student in the Biomedical Sciences Graduate Program. “In order to maximally utilize the potential of embryonic stem cells for clinical application, it will be important to understand the processes that maintain pluripotency as this ability is lost when cells become differentiated to a particular cell type,” De La Serna said. The article focuses on epigenetic, or external mechanisms, that regulate embryonic stem cell pluripotency. De La Serna’s figure chosen for the journal cover is a bivalent mark on the chromatin that is distinctively a characteristic of embryonic stem cells. These marks are thought to be an important determinant of embryonic stem cell pluripotency because they prime specific genes for activation when the appropriate cues are presented. “We were very pleased to see our figure on the front cover of the journal because it emphasizes the importance of chromatin structure in the regulation of gene expression,” De La Serna said. 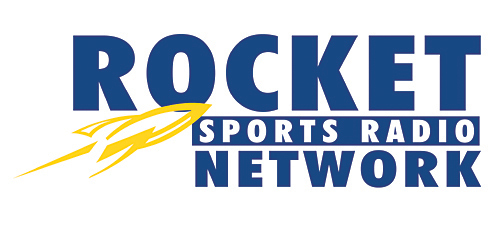 The University of Toledo and Rocket Sports Properties has announced that WKNR 850 AM in Cleveland has been added to the recently created Rocket Radio Network. The other two stations in the network are WSPD 1370 AM in Toledo, the flagship station for the network, and WDTW 1310 AM in Detroit. All three stations in the network will carry every Rocket football and men’s basketball game in 2009-10. The weekly coaches’ shows, as well as “The Daily Report,” will be carried on WSPD and WDTW. “The Daily Report” is a new two-minute mini-program highlighting UT Athletics that will air five times a week. Rocket women’s basketball will continue to be carried in Toledo on WSPD’s sister station, WCWA 1230 AM. The major sponsor for the Rocket Radio Network will be The University of Toledo. WKNR’s signal is 4,700 watts during the day and 50,000 watts at night. An ESPN affiliate, WKNR will partner with sister station KNR2 (WWGK 1540 AM) to cover Rocket football and men’s basketball games if there are scheduling conflicts. WSPD AM 1370 in Toledo will serve as the flagship station for the new network. The 2009 season will mark the 43rd year that Rocket football games will be broadcast on the station. WSPD, which has a continuous 5,000-watt signal, has broadcast UT football and basketball games for all but one year since 1965. Mark Beier, the “voice of the Rockets,” will enter his 15th season as play-by-play announcer, while Rocket Hall of Famer Tom Duncan will debut as the color commentator. UT’s multimedia rights holder is Rocket Sports Properties, a property of Learfield Sports, which manages such rights for more than 50 collegiate institutions and associations. Learfield Sports also titles the Learfield Sports Directors’ Cup, manages marketing partnerships for the Black Coaches & Administrators, and provides exclusive sports programming to more than 1,000 radio stations throughout the country. Dallas-based Learfield Sports is an operating unit of Jefferson City, Mo.-based Learfield Communications Inc., which made its initial foray into the world of sports marketing in 1975 as the radio rights holder for the University of Missouri. For more information, visit learfieldsports.com.